Numerous free vector science infographic elements help you get inspired and create an professional science infographic quickly. Edraw infographic creator provides various science infographic elements for users to drag and drop. Below picture shows part of elements. Click infographic elements to see more! Following are applications of science infographic elements. 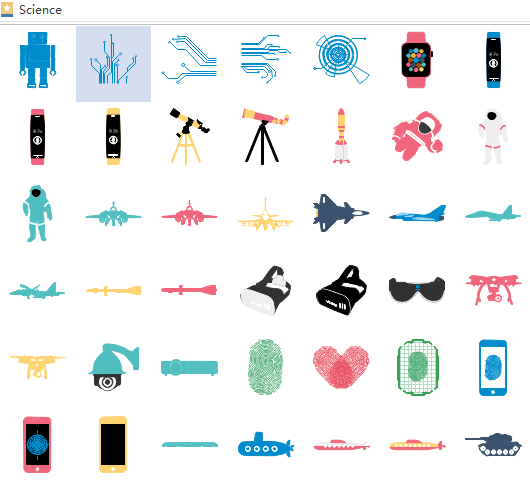 Users can also create their own science infographics with these elements. Want to use the above science elements in your infographics? Download Edraw Infographic Maker! It includes a large variety of science shapes which are easy to modify. Design a wonderful infographic is just a few click away. Try it now!